Was skimming the net like the little geek i am ran across an article on technopagans the 2nd page mentions Lucky Mojo so I thought I would share the link. Thanks for the post -- that was a surpprise! Pretty interesting article, thanks for posting it. Yaah cat, this is great information and recognition. Thanks! The recognition was great. The funniest error in the article is the statement that nagasiva has dreads! 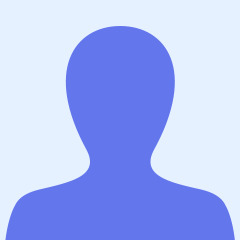 He has long, thin, brown hair. No dreads! He does braid his beard -- but how could a reporter confuse beard-braids with dreadlocks? LOL! Great article and the photograph of you is beautiful! Very nice! The photo of me is by our very own Robin Petersen. Notice nagasiva's beard -- not dreads, a braided beard. Interestingly, the reporter Erik Davis has allowed nagasiva to send in corrections to the article, and, this being the web, where permanent change is possible, the line about nagasiva wearing his hair in "dreads" may soon go bye-bye, which will doubtless confuse anyone reading the article who follows this thread. I loved it, it filled in a lot of gaps about LM and you... excellent. It does catch possibly the one thing that personally ATTRACTS me to hoodoo more than anything else: the kitsch. There's a sort of Pee Wee Herman quality to it that is just endearing to me, as a comic book and stage magic fanatic. The usual "pagan" stuff tends to turn me off because of it's aesthetic. Fantastic article... makes me want to take a road trip RIGHT NOW. This it absolutely fabulous. Now I want to know when the Television deal will come in. A show on hoodoo would be a hit, Congrats Cat this article is very tastefully done. Wall Street Journal 12/28/2010 mentions Lucky Mojo Curio Co.
Re: Wall Street Journal 12/28/2010 mentions Lucky Mojo Curo Co. This is a great article cat. Yes it is! Went out and grabbed my copies this morning! I read it and was so excited to see the pics and how LM was represented. It was Great! All I can say is Wooohoo! This WAS a great article! Nice to see more pictures of LM. Thanks for all LM has to offer. Love the Wizard! I'm so proud of Lucky mojo, and I'm glad that they stated Hoodoo as it is rather than making it seem like some demonic, witchcraft that people make it out to be. I love the woman in the article that people say shes crazy, but she doesnt care. I love the coverage of the historical origins as well as he distinction from Voodoo. Great article, and I hope there are many more to come. VERY Proud of Miss Cat and Lucky Mojo as always and... they made the FRONT PAGE!!! Miss Cat is in a sketch on THE FRONT PAGE!!! Love to Miss Cat and Love to Lucky Mojo!!! I really love how Lucky Mojo was portrayed in this article. I think it came off in favour here. On April 29, 2012, The Santa Rosa Press Democrat published an photo-feature article on the Lucky Mojo Curio Co. Among the photos are two of Heidi Simpson making a Jack ball, and pictures of our love and money altars, and products. Thanks, Beth Schlanker of the Santa Rosa Press Democrat! Great Pictures. The photography is very rich and beautiful. I love the one showing the lab and all the bottles and Heidi making up incense powder. The crystal balls shot is a close second. (What a great paper catalog those photos could make - I'd gladly pay to own a Super Lucky Mojo Product Catalog in paper format. I know it's a pipe dream, though. But the idea takes my mind back to the conjure catalog I used to look at as a 12 year old.. It had such a wonderful scent in the ink. .. Ahh the memories! And ahh how I wish I had not lost track of it). 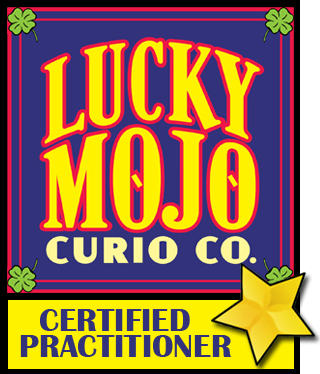 Huffington Post mentions Lucky Mojo Forum! An article on the use of menstrual blood in spell-craft quoted me and mentioned the Lucky Mojo Forum! "Jumiah, Maid In Singapore, Allegedly Put Menstrual Blood In Boss's Coffee"
Re: Huffington Post mentions Lucky Mojo Forum! Oh wow, thank you for sharing Miss Cat! I caught this early this morning off of somebody's Twitter feed. It's interesting to find this sort of thing in the news, and great to see the news come looking in the right place for information! Thank you for sharing those links. I was following this story pretty early on. Nice to see the addition of the history of using Menstrual Blood included. Really cool. Thanks for posting the link. It's good to see a reporter doing a thorough research job. 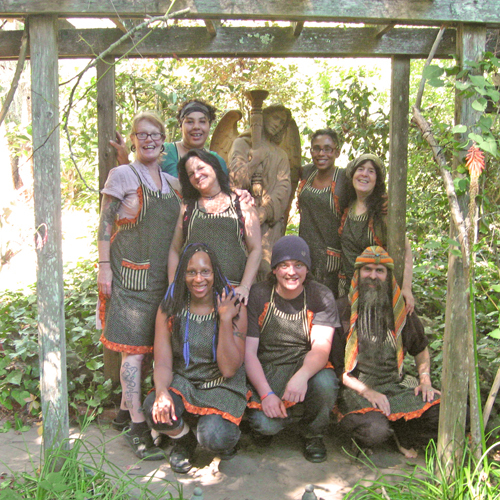 This article by the Pagan Newswire Cllective is an illustrated account of a visit to Lucky Mojo in February 2011. Lots of pictures -- and an interview with yours truly. They really showed a lot of the shop and caught the flavour of our weirdness! (This was before the Great Repainting, so the shop looks a bit different now, but you'll get the idea. Thanks, PNC-Minnesota, for the post about us! This is beautiful cat. Thanks for the link. Thank you for showing this to us. What a great interview and fantastic pictures to go along! I remember reading that article a while ago. Nice little interview is well worth the read! Thank you for posting this, Miss Cat. It is a delightful article. They did an interview with me a while back, too. LOL. Minnesota is most definitely in the house! Yeah, Minnesotans are all in the house because MN got12-22 inches of snow today! Ah, well... until there's winter-be-gone mojo... LOL..
HA! Wow, crazy... I'll trade you some of our Northern Florida 85 degree humidity!? Deal?